Kia to launch a cross-hatch to rival Maruti Suzuki Baleno! After the launch of the SP Concept based SUV followed by a sub-compact SUV, Kia’s third product for India is going to be a cross-hatch based on next-gen Rio. Recently, Kia Motors India made an official announcement that they are going to launch an all-new vehicle in our market every six months for the upcoming three years. This series of launches will commence with the debut of the SP Concept based SUV which is likely to make its entry during the month of August this year. After this, the automaker is going to launch a sub-compact SUV, based on the same platform as that of the Hyundai Styx, around the time of Auto Expo next year. Till now, the remaining model line-up of the of the Hyundai owned South Korean automaker has been a topic of regular speculations. 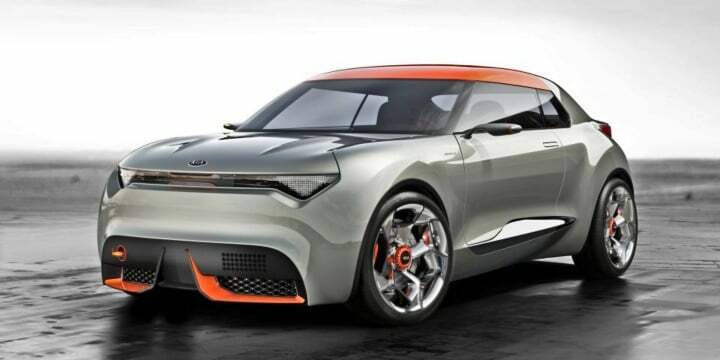 However, a recent report published in Autocar India states that after the debut of the SP Concept based SUV and the new Sub-compact SUV, Kia is going to launch a cross-hatchback in the Indian market. Kia’s new crossover is going to be a made-in-India product and is going to be based upon the next-generation Rio hatchback. The interesting thing to note here is that this cross-hatch will be the only iteration of the Rio that will make it debut in India. This means that the Rio, in its standard guise will not come to us anytime soon. The reason for this is that Kia wants to bank in to the current demand for SUV-styled vehicles. That said, it is worth taking into consideration at this point that so far, crossover based on their hatchback siblings have not performed that well in our market. Nevertheless, with Kia not planning to launch the next-gen Rio in its standard avatar and only as a crossover, it would be interesting to see how it pans out for the automaker in our country. Upon, launch, this next-gen Kia Rio based cross-hatchback will compete against the likes of Maruti Suzuki Baleno, Hyundai i20, Volkswagen Polo and Honda Jazz. By the time that this vehicle will make its debut, all of these above-mentioned vehicles are likely to have undergone a major generation update. Being a Kia, we can expect this vehicle to have an impressive list of features and creature comforts. As far as the engine specification of Kia’s all-new cross-hatch is concerned, it is likely that the same is going to launch with 1.0-litre, turbocharged petrol engine churning out 118 BHP of power along with a 1.5-litre oil-burner. Transmission options will include a manual as well as an automatic version.